It seems that Tony Christie isn't the only one who is having problems trying to find their way around the country. 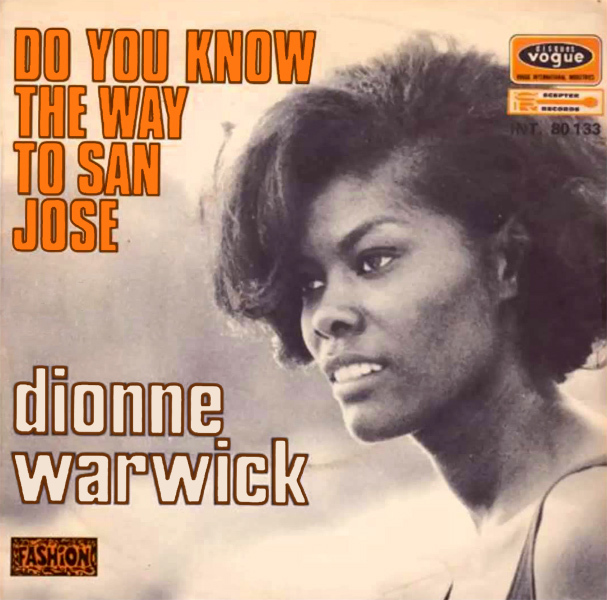 Dionne Warwick seems equally lost as she asks Do You Know The Way To San Jose? Actually, we don't know either but we figured that a naked hitch-hiker (other than her rucksack) on a desert road might do better at finding the answer so we replaced Ms Warwick from the original cover with just that image. Uplifting!